Starz is Offering the Premiere Episode of Outlander Early to Fans as a Free Sampler! Millions of “Outlander” fans…your time has nearly come. Starz announced today details of an early opportunity to enjoy the first full episode of the new STARZ Original Series, “Outlander,” beginning August 2. One of the most widely-anticipated STARZ Original series, “Outlander” is adapted from Diana Gabaldon’s international best-selling books and executive produced by Ronald D. Moore (“Battlestar Galactica”). Free sampling of the series premiere episode will be available with multiple television and online platforms nationwide leading up to the worldwide series premiere on August 9. Beverly Hills, Calif., July 11, 2014 – The “Outlander” sneak peek gives millions of fans the chance to watch Episode 101: Sassenach* one week in advance of its premiere on Saturday, August 9 at 9:00 pm ET/PT exclusively on STARZ. The first eight episodes of the 16-episode first season will air over eight consecutive Saturdays through September 27 with the second half scheduled to continue in early 2015. 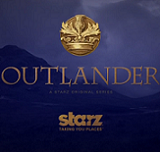 Approximately 82 million multichannel video households will have access to the premiere episode via additional linear, on-demand and/or online sampling opportunities on select cable, satellite and telco affiliates in the United States as well as online through select websites including Starz.com/Outlander, the Starz “Outlander” Twitter page, the Starz YouTube page, Starz “Outlander” Facebook Page and the free STARZ PLAY app for all users in the United States. "We've heard from fans the world over who are anxiously awaiting to see how we’ve brought Claire and Jamie to life in what may possibly be the most highly anticipated series in Starz history,” commented Starz CEO Chris Albrecht prior to the company’s presentation at the Summer Television Critics Association (TCA) Press Tour. 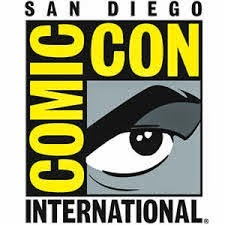 “Our 'Outlander' sampling strategy serves the dual purpose of giving early access to the series premiere for those fans thirsting to watch it as soon as possible, as well as providing a vehicle that introduces the STARZ experience to prospective new subscribers who are eager to learn all about this great new series." Due to the popularity of the book series and the passionate fan base, Starz recently launched the OutlanderCommunity.com microsite giving fans a social destination which aggregates the latest “Outlander” content across Facebook, Twitter, Instagram, Pinterest, fan blogs and more. The platform promotes exclusive show content and deepens the consumer’s connection with the show and fan community. OutlanderCommunity.com enhances and complements the show, giving fans the power to unite as a community and share Outlander with their friends. The first 24 hours exploded with 138K+ page views with users spending an average 4:05 on the site. OutlanderCommunity.com features new and ongoing activities for users to share via social media including the “I Love #Outlander Because…” activity and an Apothecary Cabinet that allows users to explore the plants and herbs used during the 1700s when modern medicine wasn’t available. Users will find 14 different plants that were used to treat everything from warts and corns to heart attacks and infection. The “Outlander” series spans the genres of romance, science fiction, history, and adventure in one epic tale. 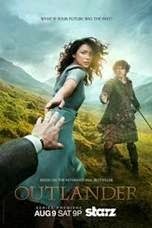 The series, adapted from Diana Gabaldon’s international best-selling books by Ronald D. Moore (“Battlestar Galactica,” “Star Trek: Deep Space Nine,” “Star Trek: The Next Generation”), follows the story of Claire Randall (Caitriona Balfe), a married combat nurse from 1945, who is mysteriously swept back in time to 1743. Upon her arrival, she is immediately thrown into an unknown world where her life is threatened. But when she is forced to marry Jamie Fraser (Sam Heughan), a chivalrous and romantic young Scottish warrior, a passionate relationship is ignited. Now, Claire's heart is torn between two vastly different men in two irreconcilable lives.